Rasmus is a former corporate and professional athlete. 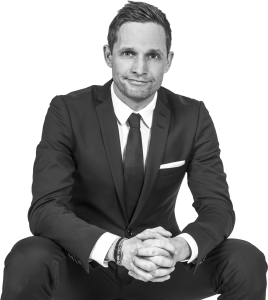 He has won many national and international titles in different sports, including the European Masters in Modern Pentathlon, and who has been nominated as the best motivational speaker in Denmark. His philosophy is that psychology and mindset are everything, and once you learn how to master your own inner universe you will be able to achieve any goal you wish in life – whether in business, sport, relationships, finances or health etc., and thousands of satisfied clients have proven him right. Developing people and organizations to understand strategies for high performance and winning cultures, makes clients achieve dreams and goals they never thought possible. He coaches, trains, and implements tools and strategies to break down barriers to peak performance. With a razor sharp focus Rasmus Bagger creates and serves winners! For further information about Rasmus Bagger, email info@rasmusbagger.com or check out his LinkedIn, Facebook or Twitter profiles and connect with him.